Trina Moyles weaves together the narratives of female farmers from across three continents in Women Who Dig. 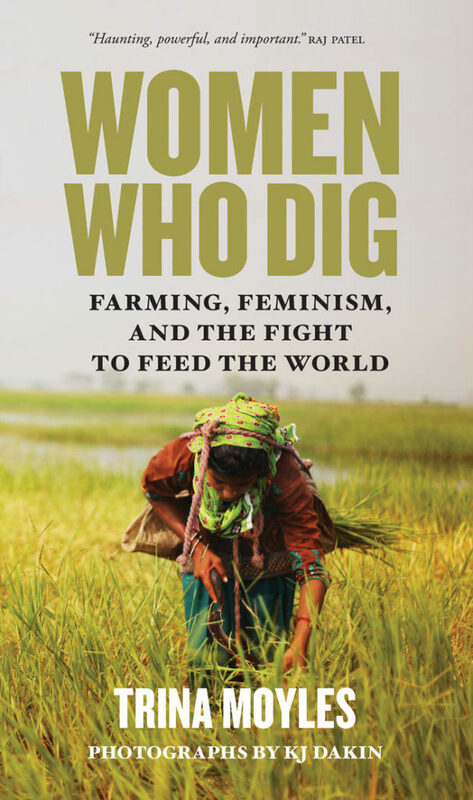 This book offers a critical look at how women are responding to and, increasingly, rising up against, the injustices of the global food system. Trina Moyles is an award winning freelance writer, journalist, and author with a passion for telling stories about social justice and environmental issues. This is her first book and is receiving critical praise from authors and scholars. We are thrilled that Trina will be joining us to discuss the ways that women are responding to the barriers they face in providing the world a healthy diet. This event is by donation with a suggested value of $10 but we encourage you to pay what you can.